QuickFlip takes any piece of HTML markup and flips it like a card. It’s simple to implement and the animation is fresh and original. Notice that we have two quickFlipPanels here. You can use any number of .quickFlipPanel’s, from one on up; they are grouped together by divs with the class “quickFlip”. Also notice that within each panel there is an element with the class “quickFlipCta”. QuickFlip uses this call to action to trigger the flip when clicked. Alternately, you can trigger the flip without .quickFlipCta, using the quickFlip.flip() function (see below). In general, try not to overwrite any of the styling in quickflip.css (this shouldn’t effect much). You can attach any extra class names to .quickFlipPanel, but don’t attach an ID or inline style. Additionally, avoid attaching margin, padding or positioning to .quickFlipPanel. You can attach any of these to .quickFlip or anything inside .quickFlipPanel if you need to. Although basic QuickFlip is easy to implement, there are several options that can be customized by advanced users. This allows you to speed up or slow down any group of panels. Just make sure not to slow it down too much—it’s called ‘QuickFlip’ for a reason, if it’s too slow the illusion turns into a trrrrrrrain wrrrrrrreck. Additionally, if you would like to trigger the flip function without the use of .quickFlipCta elements, you can use the quickFlip.flip() function. This function expects three variables; the first two are the indexes of whichever QuickFlip wrapper and panel you’d like to flip, and the third is an option controlling how many times the panel is flipped. For the third variable you should normally use 1 to flip the panel once, but try flipping it more times, or setting the value to -1 to flip continuously. This takes the third QuickFlip wrapper, and flips over the first panel to reveal the second (a single flip). This entry was posted on Monday, October 20th, 2008 at 8:50 am	in the category front-end. Yes, very slick– thanks for sharing it! – clip your content with overflow: hidden if you’re unable to reliably stuff your content into a certain size. Excellent plugin, use it loads on my site. I’d guess that you aren’t including jQuery. “A script on this page is causing Internet Explorer to run slowly. If it continues to run, your computer may become unresponsive”. Has anyone else had this problem? It seems to work perfectly in Chrome and Firefox. The animation pauses 1/3 of the way through i.e. when each side has come in about 1/4 of the way. Quickflip is working fine for me in IE8 with no errors. I think maybe you were using a beta version (your comment was posted before IE8’s official release). Also IE6 and IE7 have been supported by Quickflip since it’s release. But I always appreciate debugging info like this, let me know if Quickflip continues to give you problems. Hello, I really like this, but I had to do a hover flip type setup. I tried to take a stab at it and it almost works but thought you would know best on this…. Very nice work, simple to implement… beautiful! I have an issue, and was wondering if there’s a way to accomplish this: I want to use QuickFlip on a blog that already uses mootools. I also have other scripts running on jquery and mootools and have managed to avoid conflicts by using: var jQuery = jQuery.noConflict(); and replaceing all $ references with jQuery. I’m planning on reworking the QuickFlip plugin a bit in the next couple weeks, and that should solve any jQuery namespacing issues you’re having. I think that should make what you’re doing in the comments above easier. wow, wonderful 🙂 i’ll post the link as soon as i get it working 🙂 thanks a lot for the great work! Hi there, again… quick question: how can i trigger a flip of the elements on page load? this is a nice user clue so they know they can flip elements… i tried creating a function that would do quickFlip.flip(a,b,1) and called it onload but this doesn’t seem to do it… is there any way to do this? Love this, really good work. It perfect for my needs. I had a similar issue to Andy on the 7th March, this was being caused by trying to use this plugin with jQuery 1.3.2, I swapped back to 1.2.6 and its working like a charm. Just thought I would post and save anyone else having the same issue. Great work once again, be looking out for the full plugin. Great plugin, and can be really useful. There are definitely problems with jQuery 1.32 though as Ian said above. It would be really good if this could be updated to sort this out. Thanks for the great work on this one. 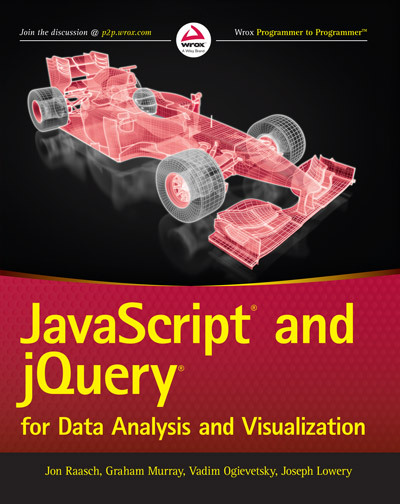 this is a great jquery script! i will surprise of what user can do with it ! The update solves a number of the problem people mentioned above. The IE8/jQuery 1.3.2 conflict has been fixed, as well as namespacing issues. Finally there is a much easier to use $.quickFlipper() function which makes triggering the flips manually a piece of cake. Can you edit the code so that it flips on its own (without rollover, or any mouse event) and flips through multiple images? If so, how can I go about doing that? Hi. Thanks for this plugin! I’m trying to use flip for mouseover or mouseenter type behavior. I’d like to have it flip one way with a mouse over, then flip back on a mouseout… but am not sure how to separate the two actions as it’s setup more like a toggle on line 121-127. I tried a super simple way of just created a new class and manually attaching a flip trigger in order to flip back. But that didn’t quite work. This makes for a pretty rad interactive experience. And I picked your Flip above the others for it’s speed because I was going to use it like this. I am using this quick flip, and i wanted to know if there is a way in which i can remember the side i am looking at ? I am on side1 – I do a flip to view side 2. I refresh the page, i should be able to view side 2. Can i maintain an attribute/hidden id etc to get this to work ? I have the same question with smd. And also I have another question, how can I link to a specific tab from the same page or another page. Like linking to a page which has three tabs, how can I access the 3rd tab or second tab in this page. From the same page it will flip, from another page it will directly go there. I’m trying to figure out how to create a proper print CSS for quickflip. I’m guessing that the way quickflip works is by positioning one element behind another. So in my print css I would need to use relative positioning to move the back panel below the front panel so that they both show up when printed. Correct? A jquery plugin that flips any piece of HTML like a card. It doesn’t run in IE 9. Please check it.